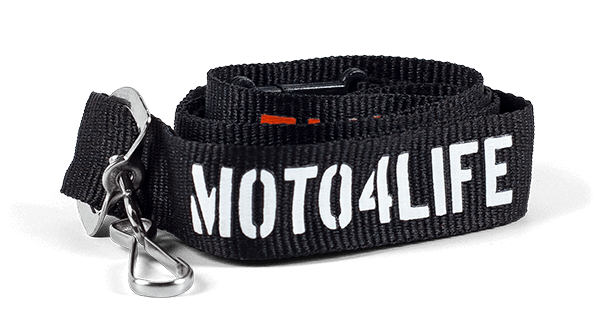 Your one stop shop for everything lanyards. Let’s face it, I.D. badges and key cards are necessary in more and more workplaces today. If you’re looking for a handy way for your staff members to carry I.D. or keys for frequent use, badge reels are a great solutions. 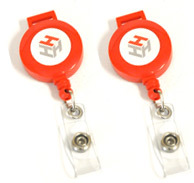 Just Lanyards is your high-value, low-cost source for custom badge reels and holders of all kinds. 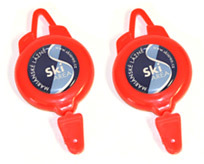 Badge reels and badge holders are an ideal way to keep key cards and I.D. badges conveniently close at hand, while keeping them out of the way. Unlike clip-on badge holders, they’re hard to lose. Unlike pin-on badges, they don’t damage clothing. In situations where a dangling lanyard could be inconvenient or a potential safety risk, badge reels are an excellent alternative. 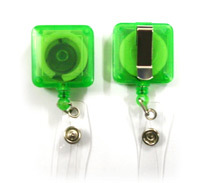 At Just Lanyards, we offer badge reels in a choice of plastic or metal. Plastic offers light weight for easy carrying, while metal offers added durability. Our experienced staff can help you determine which is best for your specific application. 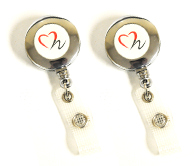 We can custom imprint your logo or text onto the center of the badge reel to help promote your brand. When you order from Just Lanyards, you’re buying the best custom badge reels and badge holders on the market. Every product we sell is subject to our rigorous quality standards, and we carefully inspect each one before we ship it to you. We’re so confident of our badge reels that we back each one with our 100% Satisfaction Guarantee. If you should find any product you buy from us to be defective in either materials or workmanship, we’ll replace it at no extra charge to you. If you’d like to know more about our custom badge reels and holders, or any of our other fine products, talk to us! Call us at 866.361.2751 (toll-free, of course), email us at [email protected], or fill out our no-obligation free quote form. We’re happy to answer any questions you might have, and we look forward to serving all your custom badge reel and badge holder needs. 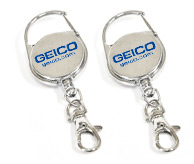 -Need more than 5000 carabiner badge reels? Please call for best pricing. -Blanks ship 2-3 days; Printed 10-15 days. 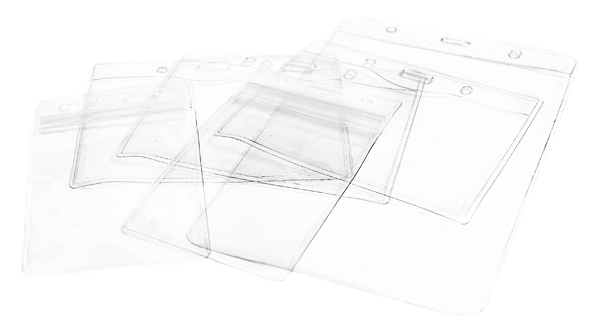 Durable clear vinyl badge holders are available in two popular sizes and orientations (horizontal and vertical). 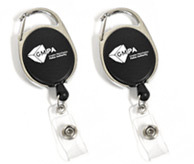 All badge holders include slot for bulldog clip or snaphook attachment. Custom sizes available, please call for best pricing and lead-time. 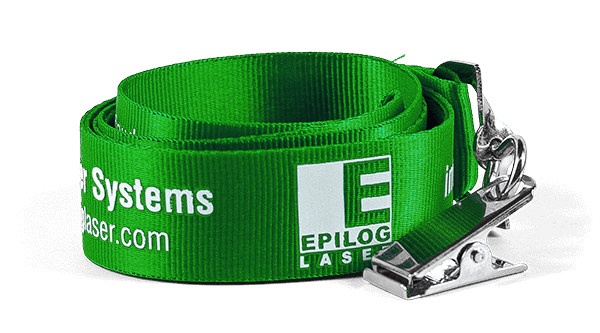 If you want to add a logo to your lanyards without going to a badge reel, LogoClips™ are the solution you’re looking for. We can add a 1” logo (either round or square) to your lanyards, with full color printing included. Give your lanyards that extra promotional touch! LogoClip™ badge holders are shipped from our US facilities and will require a custom shipping quote. Please contact a sales representative through the quote form, email or by giving us a call to get a quote on shipping prices. NOTE: LogoClip orders require a $50 setup fee, and are shipped from a separate facility than our lanyards. Shipping rates to your location will be provided at the time of quote. Polyester lanyards are your best value. Excellent wear comfort and outstanding imprint quality give you the ideal combination of value and performance. 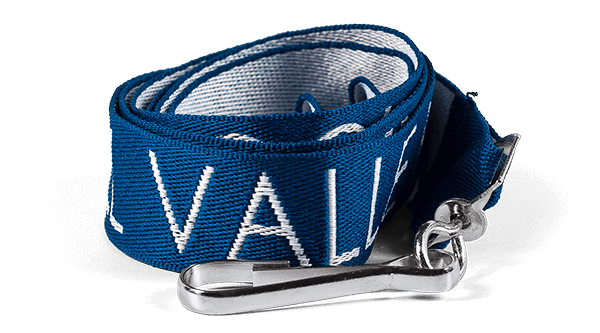 Woven lanyards offer a timeless look. We weave your simple text or logo into the polyester for a clean, classic style ideal for any office setting. If you want great lanyards on a tight budget, you can’t beat tubular lanyards. Made of tube-stitched polyester, they’re comfortable and look terrific. 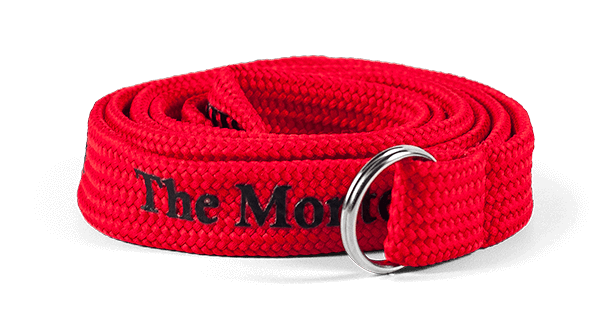 Custom nylon lanyards offer high style for your custom logo. With a smooth finish and bright sheen, you can’t go wrong with these! 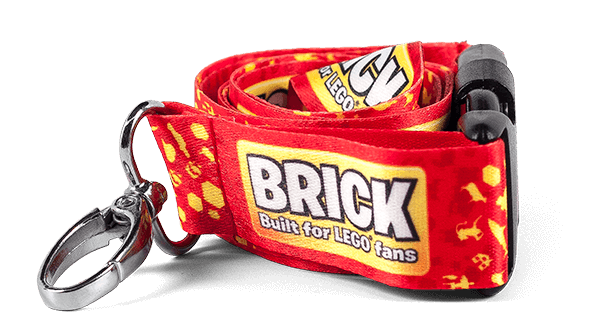 Need rugged lanyards that won’t peel, fade or crack? 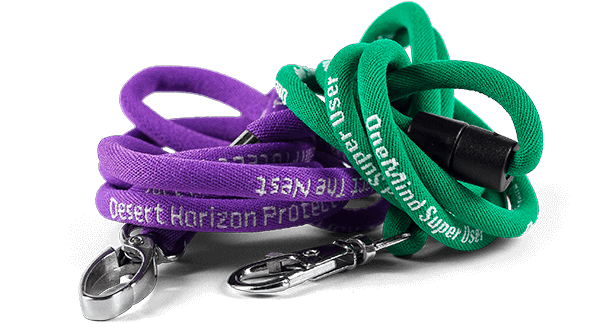 Our full color lanyards infuse your design throughout the nylon, so they can stand up to anything! Cord lanyards are great for a classic look and comfortable wear. 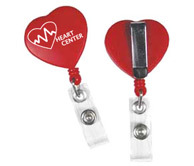 These are ideal for sports teams, school lanyards, and offices of all kinds. 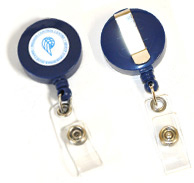 The combination of badge holders and custom lanyards is the most versatile way to carry ID badges or key cards. Mix and match with lanyard styles. 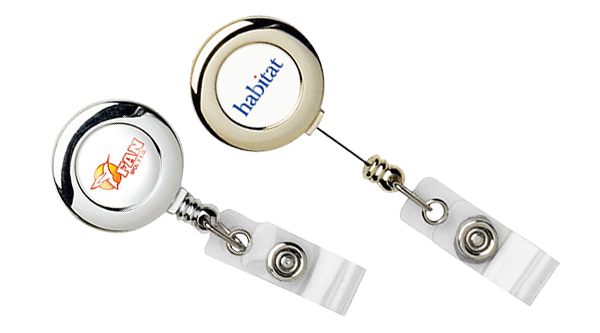 Badge reels are a great alternative to lanyards if you prefer to keep badge holders close at hand, yet still easily accessible. LogoClips™ are an outstanding way to boost your brand! Customizable clip-on badge holders are perfect for environments where badge reels won’t work.